Little Egg Harbor is an attractive retirement destination in southern New Jersey with a very confusing name. 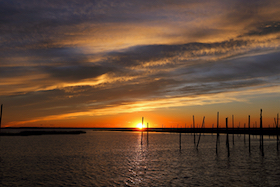 Little Egg Harbor is a township of about 15,000 people and growing very fast. It is just north of Atlantic City near Tuckerton and a bit south of Manahawkin. Little Egg City is a small town that is considered part of the Township. Here and nearby folks get to enjoy the fine beaches and waters of South Jersey for all types of water recreation. The area has some cute downtowns and it always has a pleasant resort ambiance. There are many active adult and 55+ communities in Little Egg Harbor, including Sunrise Bay and Cranberry Creek. According to Zillow, the median home value was $206,100 in early 2019. Obviously that can differ by neighborhood and proximity to the water. There is not a lot of crime in Little Egg Harbor. The area is filled with doctors, clinics, and rehab facilities that cater to seniors and the retired. Hospitals are in Hammonton, Manahawkin, and Atlantic City.